It’s fun watching television grab certain tropes and run with them. We had vampires in the 90s, zombies in the 00’s and now we seem to be entering the era of time travel as a trope. TV tends to reflect what’s going on in our culture rather than be a leading indicator. In the 1990s, vampires possibly reflected (pun intended) the unease baby boomers had about growing old and wanting to live forever. Or it could be the yearning to retain the beauty and energy of youth forever, but at a heavy cost. Vampires could be cool and edgy, but also amoral, evil, and living always in darkness. Zombies as a trope arrived at a time when post-apocalyptic fiction seemed to penetrate all forms of popular culture. The zombie trope has always been more about how humans treat each other rather than about fighting undead monsters. And that trope always seemed to suggest that people will act terribly to each other in times of crisis. It’s Lord of the Flies writ large, even though actual human history suggests that humans tend to pull together in crisis times. So what about time travel? Time travel shows seem to coalesce around a single trope: mucking around with the past creates terrible consequences for the present. Of course, time travel has been a staple of movies for decades. However, today’s time travel TV owe less to film adventures such as the 1960 edition of H.G. Wells The Time Machine and more 80s time travel trilogy Back to the Future, in which the consequences of time travel had permanent consequences. Unlike the TV shows of today, though, Back to the Future suggested that you could fix problems by traveling through time. 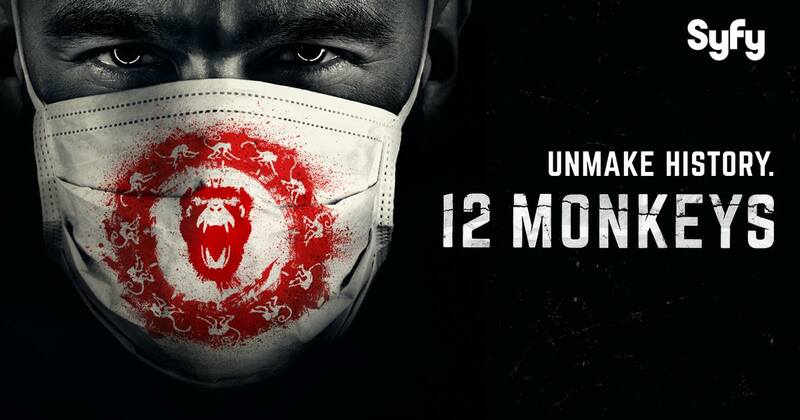 Perhaps the most insane version of this is SyFy’s 12 Monkeys which gleefully changes past, present, and future, juggling multiple timelines in a dizzying fashion. Given that, it’s an amazingly watchable show. Based on the eponymous movie, 12 Monkeys mixes in crazed cultists and desperate people trying to change the dystopian present (which is the future) created by the 12 Monkeys cult. features no actual time travel. Instead, daughter communicates with her now-dead father over 20 years via a majicked-up ham radio. 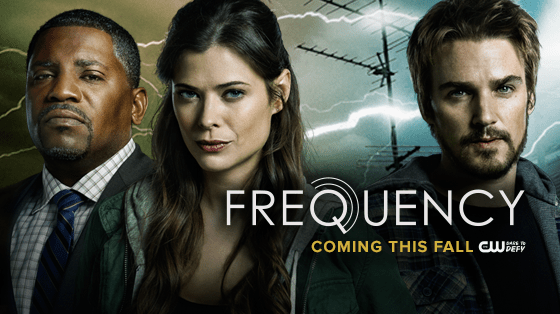 At its heart, Frequency looks like a police procedural with a weird twist, but at the outset, the writers begin tugging at the ball of string that represents the consequences of changing the past. The first episode was amazingly well done, too, but I can’t see how the show can possibly sustain itself. Legends of Tomorrow takes a bunch of B-grade DC superheroes and sends them romping through time to try to prevent bad things happening to the future. The show takes itself far less seriously than most of the other time travel series, however. 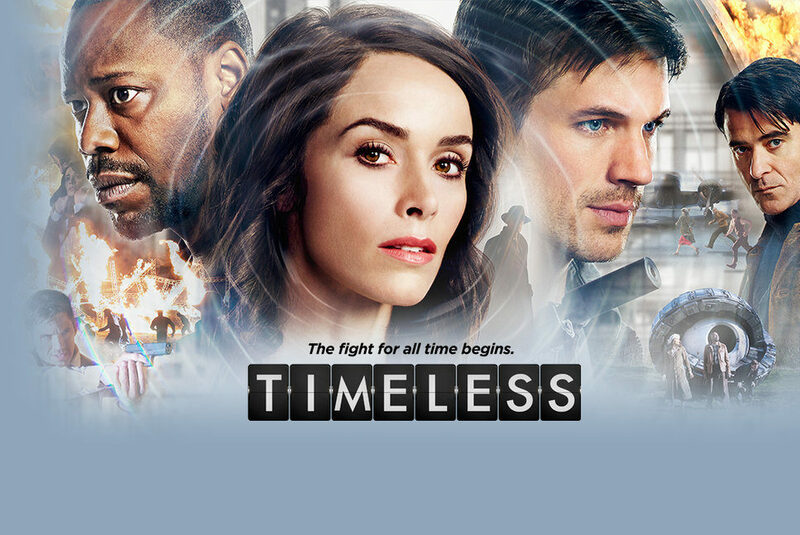 The show garnering the biggest marketing push is NBC’s Timeless. The shows take three unlikely characters and sends them chasing through time to prevent a supposedly mad genius from changing the future. Our plucky heroes meet with mixed success, however. In the first couple of episodes, the big machinations of the big bad are mostly prevented, but minor things get changed, resulting in — you got it — changes to the present day lives of our heroes. Timeless takes a mainstream approach to time travel, focusing more on character than the overall story arc, but the show happily begins discussing concepts like multiple timestreams from the beginning. It will be interesting to see how the NBC audience buys into the show since other risk-taking shows on NBC have met with little success. I think time travel appeals to the sense that we get that the world outside is beyond our control. If only, we think, we could go back and change something in the past, the present would only be better. This rapid pace of change inherent in modern technological society, coupled with the insane stream of unedited data we absorb from our social media and other internet sources, exacerbate the feeling of helplessness. Tropes like vampires, zombies, and now, time travel, are created by the grown-ups of the present, who are reacting to the changes they see today. As always, though, the answer really lies in the next generation, which always seems to adapt to the changes. Tropes like vampires, zombies, and now, time travel, are created by the grown-ups of the present, who are reacting to the changes they see today. As much as we wish, however, the arrow of time moves inexorably forward. Breakneck change to the current generation in power seems pretty mundane to whose growing up in it. The answer to the problems of the present lies in the abilities and talents of the next generation.